Phoenix Fashion Week’s annual Model of the Year competition has quickly become a spring board for top valley models to further their careers and receive the opportunity to sign with a top modeling agency in town, The Agency Arizona. 2012 and 2013 Top 40 Model Maureen Montagne was crowned Miss Arizona USA 2015 and recently teamed up with 2013 Designer of the Year winner Dolcessa Swimwear for an insanely hot swim suit shoot. 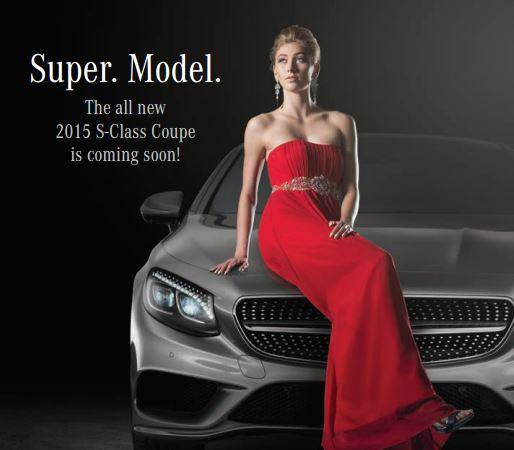 Be sure to follow Maureen’s journey as Miss Arizona USA 2015 on Facebook, Twitter and Instagram. 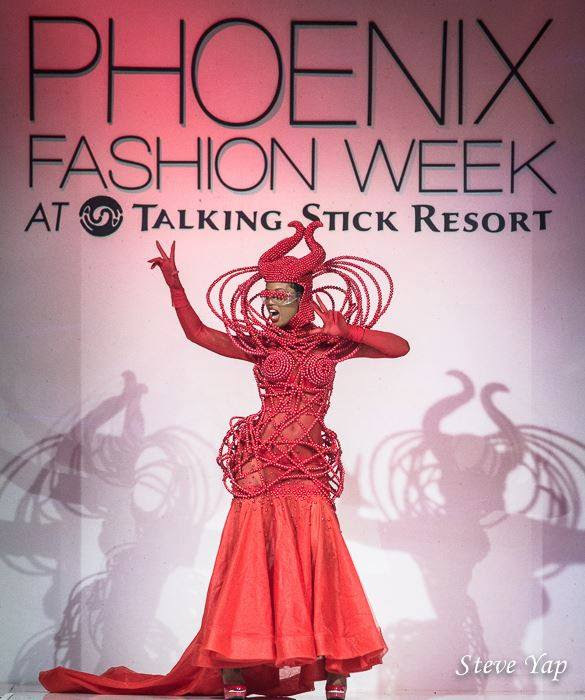 SCOTTSDALE, AZ – Thousands of fashionistas, industry professionals and taste makers flocked to Phoenix Fashion Week at Talking Stick Resort for a week of high fashion, shopping and industry expert-led seminars. 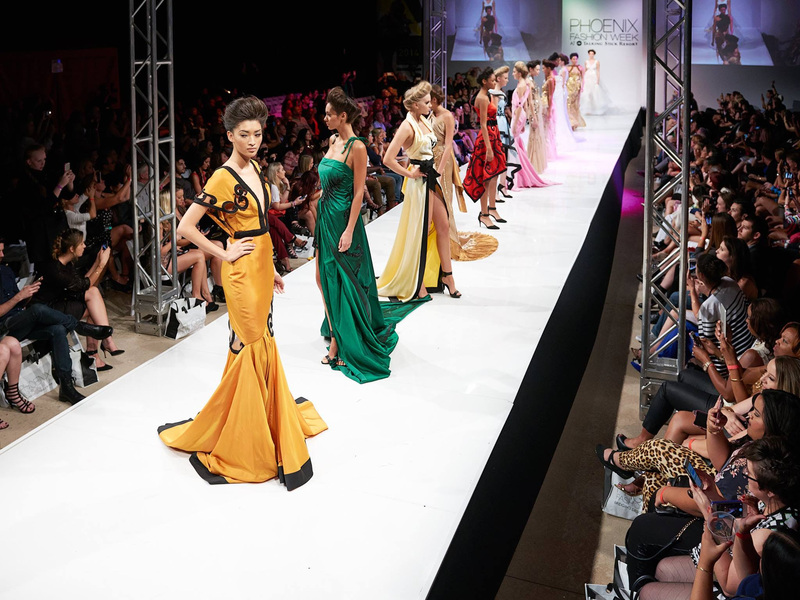 With an impressive lineup of global partnerships and brands, Phoenix Fashion Week has not only secured its position as the leading fashion event in the Southwest, but is quickly gaining recognition as one of the fastest growing fashion events in the country. Phoenix Fashion Week at Talking Stick Resort began on Thursday, October 2nd with FIDM Debut Designers Carol Wong (left) and Tylor Leigh (right), who were fan favorites of the evening. With Wong’s futuristic elements and Leigh’s graphic colors and paint-splattered models, it’s no surprise multiple fashion bloggers named them as some of the best collections shown during fashion week. Monster Products took to the PHXFW runway for the first time during the Dolcessa Swimwear show on Friday evening, styling several models in their celeb-favorite Monster Diamondz Headphones. 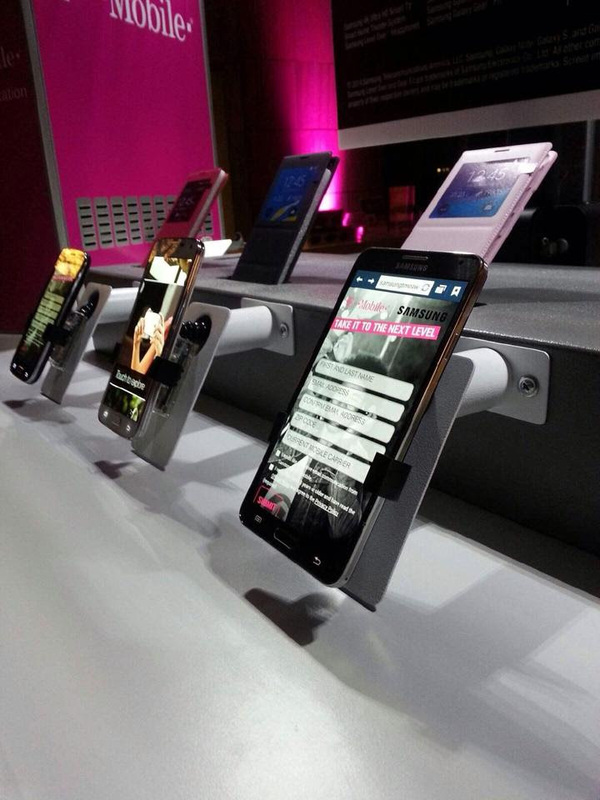 The Style Villa Marketplace was a “hot spot” this year, powered by T-Mobile and featuring the latest Samsung devices, including the Samsung Galaxy Note® 4, Samsung Galaxy Note® Edge, and Samsung Gear STM. The Business of Fashion Seminar Series, Presented by top fashion institute FIDM. 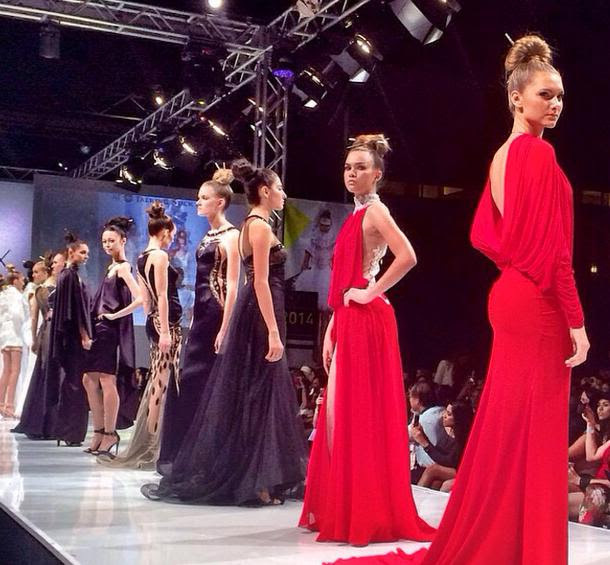 Internationally acclaimed TONI&GUY styled the hottest runway hair as the Official Hair Partner of PHXFW 2014. 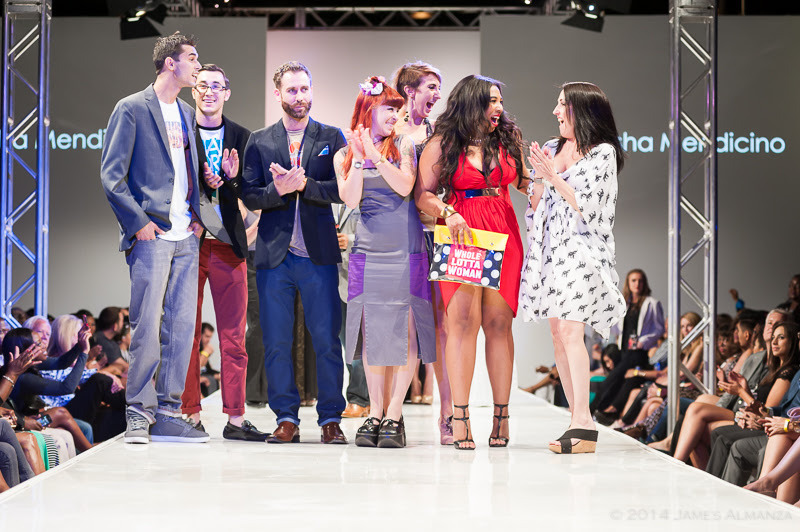 Local Emerging Designer Misha Mendicino Designs was named PHXFW’s 2014 ‘Designer of the Year’ following a close competition in the Emerging Designer Bootcamp. 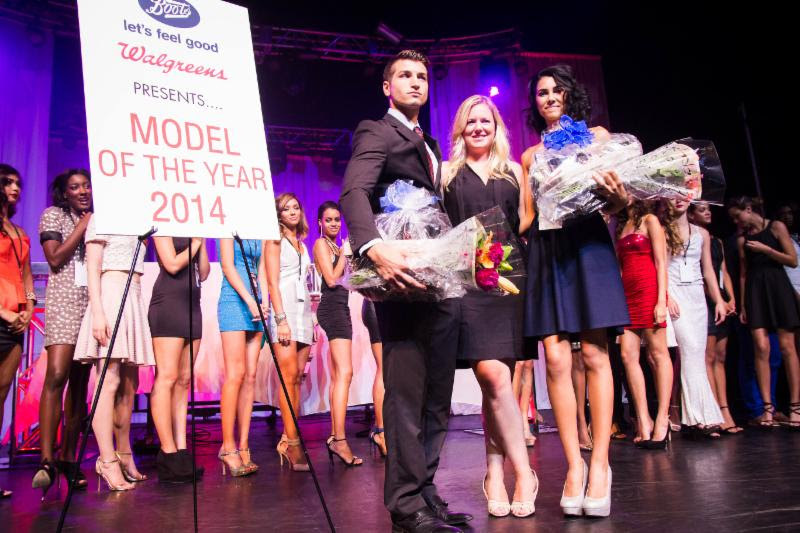 Model of the Year Presenting Sponsors Boots and Walgreens announced PHXFW Top 40 models Nick and Bianca as the 2014 male and female Model of the Year Winners, who will each receive a contract with The Agency Arizona! 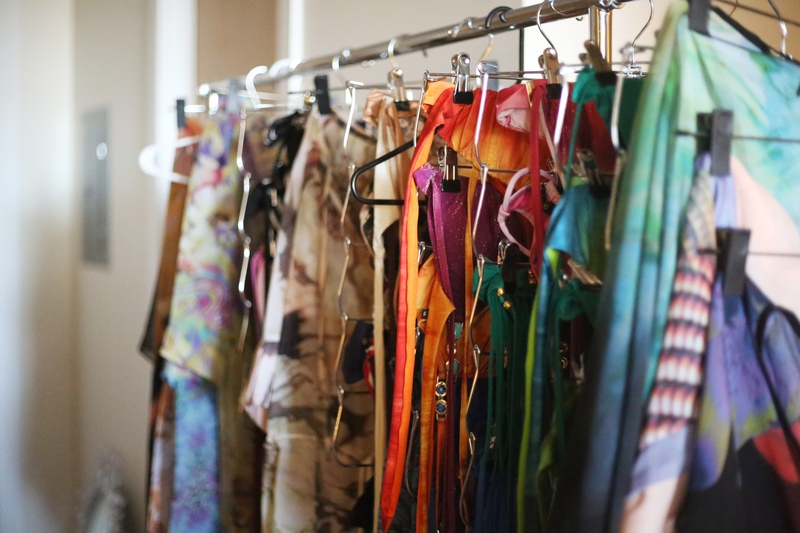 SCOTTSDALE, AZ – Phoenix Fashion Week hosted their annual ‘Shop Garment District’ event on Friday, August 8th at the stylish Hotel Valley Ho in Scottsdale. This event previewed new looks from the fall 2014 Emerging Designer line-up in a high-energy runway show, along with a trunk sale by this year’s emerging and accessory designers where guests shopped the designers right from the runway, while enjoying bubbles, bites and sounds by DJ Q. Guests also received complimentary makeup touchups and Boots No7 Foundation Match Made Service at the Boots beauty bar. Guests shopped fashions right from the runway inside Shop Garment District. Boots and Walgreens are proud to sponsor this year’s Phoenix Fashion Week Top 42 Model Announcement Party. 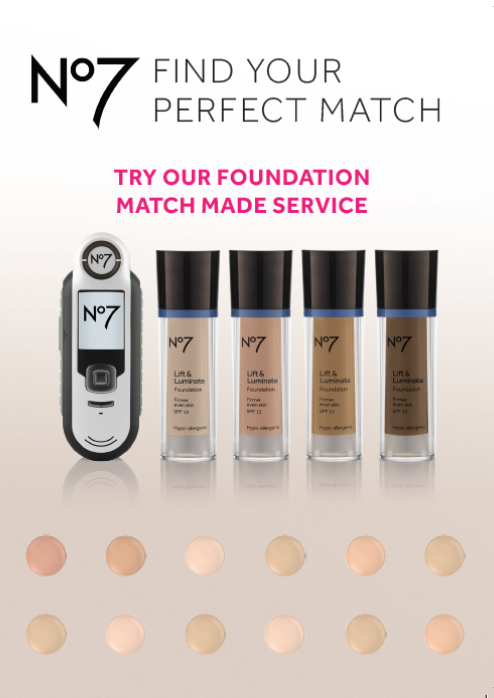 Boots, a well-known UK beauty brand, recently launched its No7 Foundation Match Made Service in limited Phoenix-area Walgreens stores. The Match Made service matches women to their perfect foundation shade in just a few minutes with the help of a Beauty Expert. Match Made removes the guesswork in finding both the right shade and right foundation formula – it is foundation matching in its simplest form. Boots Beauty Experts will be onsite at International during our Top 42 Model Announcement Party, providing complimentary makeup touchups and helping guests find their perfect foundation match with Match Made Service. Guests will go home with their perfect shade of foundation, compliments of Boots and Walgreens. “GET THE LOOK” GIVEAWAY: Post a comment below with Boots beauty product for a chance to win a ticket for you and guest into our Model Announcement Party July 10th, where you and your guest will receive complimentary No7 Foundation Match Made Service with Boots Beauty Advisors and your own beauty gift bags filled with goodies! 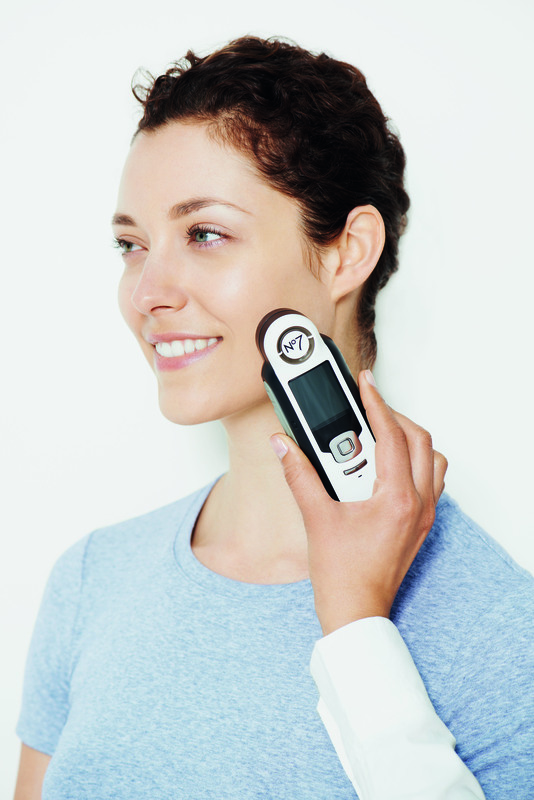 Studio 3D is a name around town that is synonymous with style, sophistication and technology. Following a successful Industry Mixer event last year, this local photography studio and event space has jumped back on board with Phoenix Fashion Week again this year to host our annual ‘Shop Garment District’ event and Emerging Designer Fashion Show! 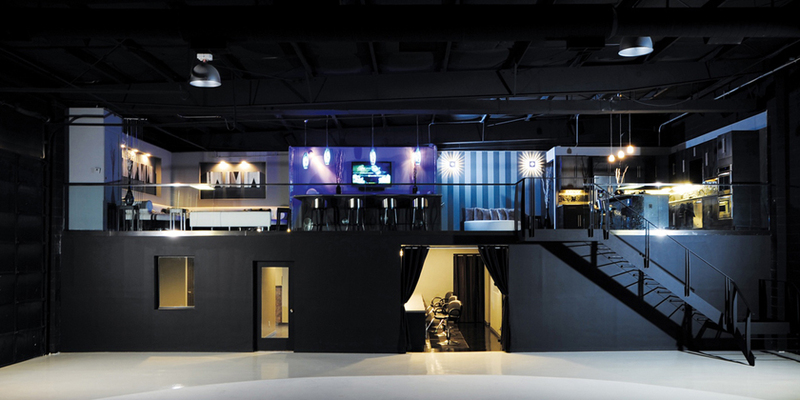 “Our studio is set up as a multipurpose facility to cater to many different uses. An event like Shop Garment District allows us to showcase everything we have to offer. From having the models hair and make up done in our salon, to the chef preparing food in our full state of the art kitchen, utilizing our bars and sponsors, to using our cyclorama (CYC) wall as the setting for the fashion show, it will allow people to see our full potential as a space,” said Studio Manager Nate Gossage. 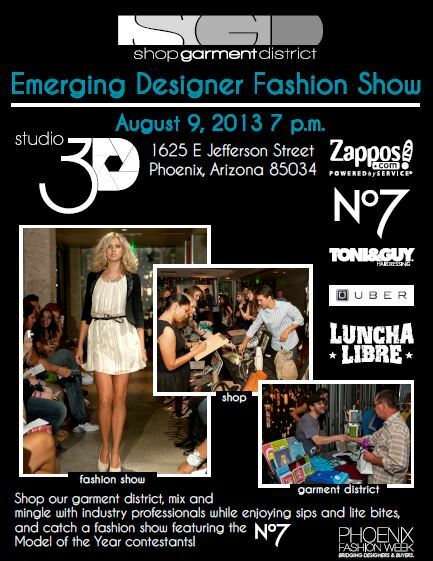 Taking place on Friday, August 9th, 7pm at the stylish Studio 3D in Phoenix, this event previews new looks from the fall 2013 Emerging Designer line-up in a high-energy runway show, along with a trunk sale by this year’s emerging and accessory designers where guests can shop the designers direct and enjoy lite bites prepared live by Chef Tim Cobb of Luncha Libre. “There is always some element of fashion and style that goes into what we do…we designed our space in a way that would be functional and appealing to that audience. From our layout to the color scheme, we hope that people get a modern yet classy feel when in attendance, making us a great space to host an event for other artistic creative minded people, ” said Gossage. 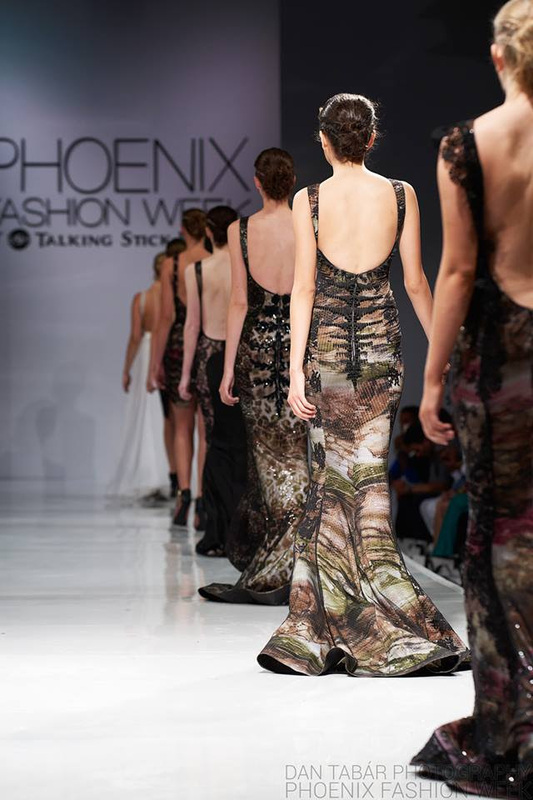 After receiving rave reviews of the 2013 Emerging Designers to show at fashion week in the fall, this event promises an exciting sneak peek into more of these designers’ collections before they are debuted at Phoenix Fashion Week at Talking Stick Resort, October 1-5, 2013. In conjunction with No7’s ‘Model of the Year’ Contest, Shop Garment District will also serve as the Official Runway Challenge for these Top 40 male and female models, with styling provided by TONI&GUY Academy, the Official Hair Partner of PHXFW 2013. “This fashion event has top models, apparel and accessory designers all under one roof and it’s amazing to be able to shop these looks seen on the runway well before their debut at Phoenix Fashion Week at Talking Stick Resort in October!” said Brian Hill, PHXFW Executive Director. Shop Garment District is supported by Zappos.com, No7, TONI&GUY Hairdressing, Studio 3D, UBER, and Luncha Libre. The Valley may be sizzling this summer, but Phoenix Fashion Week Emerging Designer Katya Leoncio and her Las Vegas-based brand, Dolcessa Swimwear sent temps off the charts with a recent look-book shoot featuring The Agency Arizona model Sam Diaz and PHXFW TV Fashion Host Brittany Dawn Brannon. “It’s nice to interview the designer–especially Katya, who I just interviewed last week at the Designer Challenge–and then being able to model for her. I really enjoy being on both sides of the camera. Every single piece is absolutely beautiful…I can’t wait to see how Katya’s show looks because everyone is going to love all of the pieces!” Brannon said. Shot by seasoned high-fashion photographer (and makeup artist) Michael Franco at several Phoenix locations, including in-studio and poolside, the shoot was for the swimwear designer’s newest look-book collection to present to buyers following their official announcement as an Emerging Designer and contender for PHXFW 2013 ‘Designer of the Year.’ “My inspiration for Dolcessa is the swimwear itself–the colors, the beauty of the actual swimwear. Beauty is always my inspiration. When you are shooting something as amazing as her swimwear, that’s really inspiring to make the girls, lighting and scene just as beautiful,” Franco said. For more information about Katya and her brand, Dolcessa Swimwear, visit her website. Be sure to look for her collection when it debuts on the Phoenix Fashion Week at Talking Stick Resort runway in October!